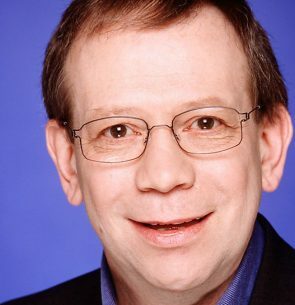 on Plowman, the BBC’s Head of Comedy from 1994-2007, has Produced/Exec’d a host of award winning shows, including ‘Wogan’, ‘French & Saunders’, ‘Absolutely Fabulous’,‘Murder Most Horrid’, ‘Ben Elton’, ‘Ruby Wax’, ‘Goodness Gracious Me’,‘The League of Gentlemen’, ‘The Thick Of It’, ‘Love Soup’, ‘The Vicar of Dibley’, the 2007 ‘To The Manor Born Christmas Special’, the multi-award winning ‘Little Britain’, ‘The Office’ and ‘Extras’. In 1988 Jon co-produced the first ‘Comic Relief’ which raised over £25 million and was the start of a huge fundraising effort. Most recently Jon developed and Exec’d for BBC Two the second series of ‘Beautiful People’ continuing the exploits of two boys growing up gay in the 90’s; ‘Taking The Flak’ featuring a group of journalists in an African war zone and a spooky Halloween special of the comedy thriller series ‘Psychoville’, written by two of ‘The League Of Gentlemen’ Reece Shearsmith & Steve Pemberton, the second series of which will broadcast later this year. Plus new for BBC Four, ‘Twenty Twelve’ written and directed by ‘People Like Us’ writer John Morton, which takes a comic look at preparations for the London 2012 Olympic Games. In 2007 Jon was presented with the RTS Judges Award for Outstanding Contribution to Television, and in 2008 the Banff World Television Lifetime Achievement Award.